Showing 33 articles from January 23, 2019. LOUISBURG -- The Franklin County Board of Commissioners awarded a contract to update its Comprehensive Development Plan. Staff and commissioners said they're going to need it. 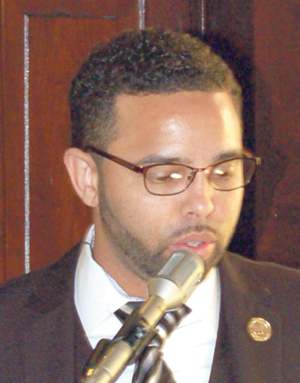 "We need [this plan]," said County Commissioner Shelley Dickerson. "Growth is coming, whether we like it or not. It's here. "We need to direct our growth rather than have growth taking us over." 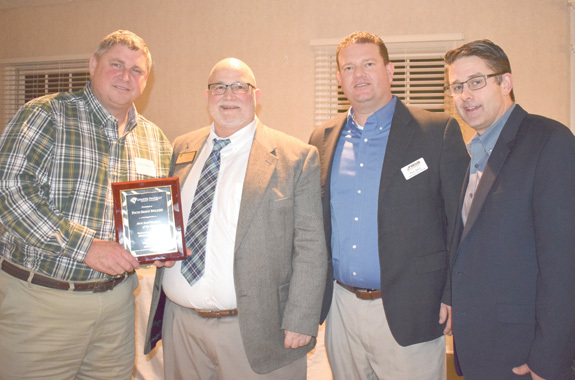 Chamber Executive Director Don Lancaster, second from left, presents the Small Business of the Year Award to, from left, Craig Hedgepeth, Paul Eitel and David Williams from Focus Design Builders. LOUISBURG -- Where most people see weathered facades, cracked windows and dingy floors, Ron Cox sees opportunities. Putting his vision into reality has turned vacant buildings in Louisburg into hubs for business and the community. And, his passion has helped lead a revival in downtown Louisburg, through his service as the town's downtown ambassador and chair of the Louisburg Downtown Economic Development Committee -- which has led to events like the Friday Nights on the Tar concert series, the town's Strategic Economic Development Plan and what has become an annual Christmas Tree lighting ceremony. LOUISBURG -- Dr. Martin Luther King Jr. was not a man who sat on the sidelines. Neither was Franklin County equal rights icon Rosanell Eaton. The best way to remember either of them, former State Sen. Doug Berger challenged a pew-filled St. Paul Presbyterian Church crowd, would be to continue their fight for equality. 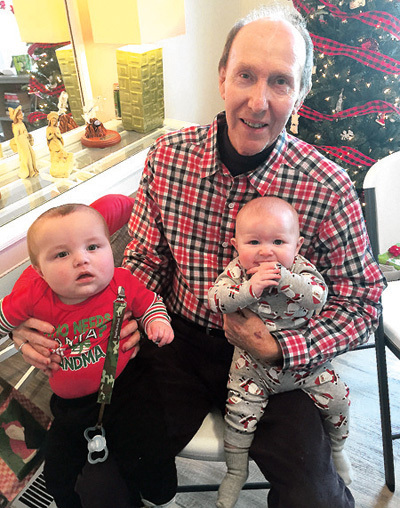 BUNN -- When Joe King left Burlington for Bunn, the idea of coming to his wife's family home in Franklin County appealed to him. Come Jan. 30, he'll be able to spend a lot more time there as the veteran lawman is retiring. "I just turned 65 years old," said King, who's been Bunn's police chief since the summer of 2015 -- replacing Kent Winstead who left the post when he was elected sheriff in the fall of 2014. Chilly weather was an excuse to watch football! No doubt about it, winter is here and, in typical North Carolina fashion, the temperature has been bouncing around like a billiard ball. 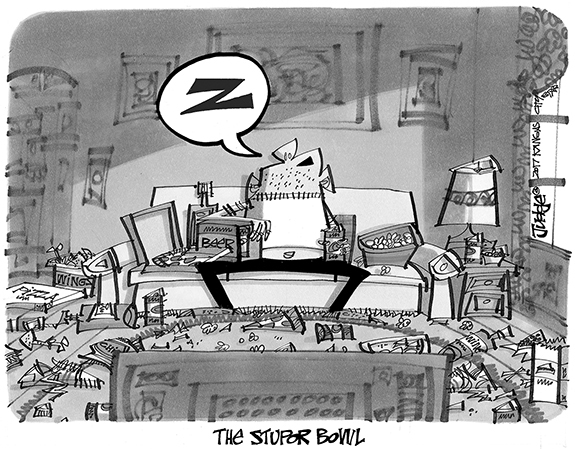 Take last Sunday for example. Early in the morning it was a balmy -- for January -- 58 degrees, although there was a pretty sharp breeze that served as a reminder that we were only 20 days into the new year. Then the thermometer began its relentless fall through the day until, by evening, it was bouncing around the freezing mark. Franklin County has a long -- and sad -- history of studying topics to death and then placing those studies on a shelf to gather dust and become the fabric of history. That's been true of water, sewer, recreation, farmers' markets, a slaughter house/commercial kitchen and a host of other projects that were studied but then went largely ignored and forgotten. Will 2019 bring even better results in opioid epidemic? According to some preliminary data from the Centers for Disease Control and Prevention, there's a slight reason to be optimistic that the opioid crisis is taken a turn for the better. 2018 might have been a turning point, according to a story in USA Today. Trials and tribulation shall follow us all the days of our life, whether or not we accept Christ as our savior. Suffering will visit us all. The problem is sometimes we think suffering is self-inflicted. In some cases that would be correct, but more often than not suffering is the result of other people's decisions, actions or simply an obstacle allowed in your path for personal growth or failure. FRANKLINTON--Clarence Person Jr., 49, died Friday, Jan. 18, 2019 at his home. Funeral services will be held at 1 p.m. Saturday, Jan. 26, at Franklinton Elementary School. Burial will follow in Evergreen Cemetery in Franklinton. EGG HARBOR TOWNSHIP, NJ-- Funeral services for Martha Lee "Bug" Crudup, 77, of Egg Harbor Township, N. J., formerly of Franklinton, who died Sunday, Jan. 20, 2019, will be held Sunday, Jan. 27, at 2 p.m. at First United Church of Christ in Franklinton, with the Rev. Vivian Williams officiating. Burial will follow in Fairview Cemetery. 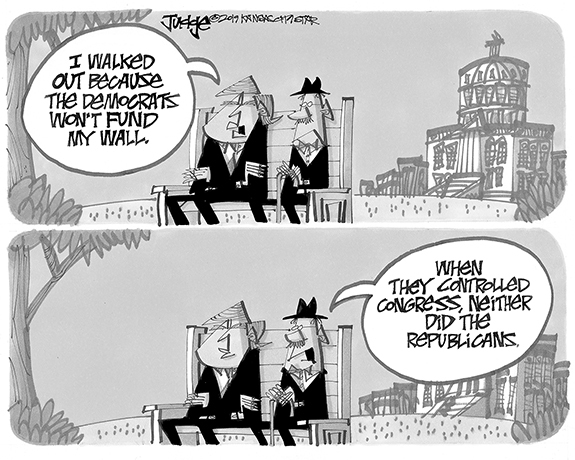 TOUGH TASK. Franklinton's Ben Hornyak (front) takes on Wilson Fike's Aaron Bancroft, who is regarded as one of the top wrestlers in the competitive Big East Conference. 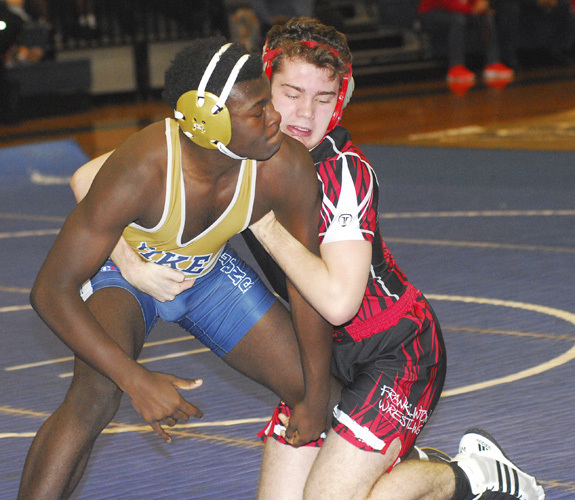 WILSON -- Parity was the big winner during last Saturday's action at the annual Big East Conference Team Dual Wrestling Tournament. Under normal circumstances, it is fairly easy to predict how the final standings at the event will shake down. But this year's tournament was hardly ordinary as teams took turns defeating each other to set up a fantastic finale. DETERMINATION. Franklinton's Meaghan Dohnert (right) scores in the paint during last Thursday's home victory against Northern Nash. FRANKLINTON - Few opposing venues have proven to be inhospitable to Grover Battle during his glorious tenure as the girls basketball coach at Northern Nash High School. Franklinton, however, is shaping up to be one of those not-too-hot spots for Battle and his Lady Knights. MORE MOSLEY MAGIC. 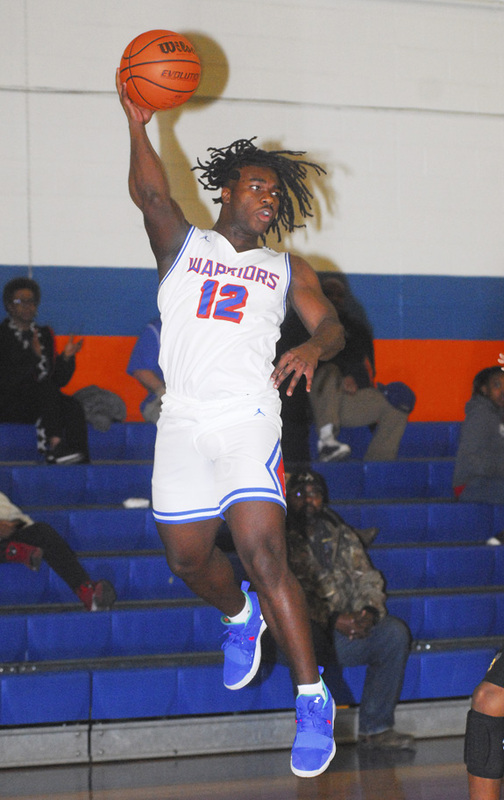 Bunn's Quay Mosley drives for two points during last Saturday's hoops contest vs. Smithfield-Selma. WILSON -- That's the afternoon when the lights went out at Greenfield School. 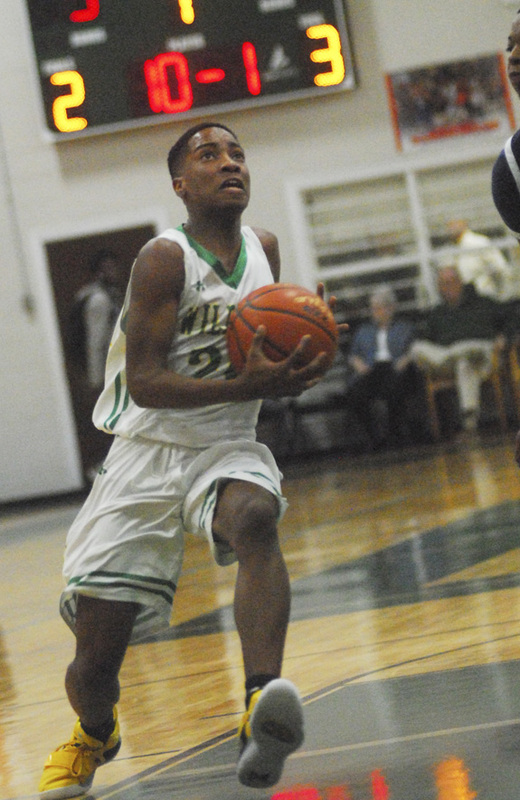 Well, not exactly, but an accident led to a significant delay during Bunn's scheduled meeting with Smithfield-Selma at last Saturday's all-day BSN Classic Boys Basketball Showcase at Wilson's Greenfield School. 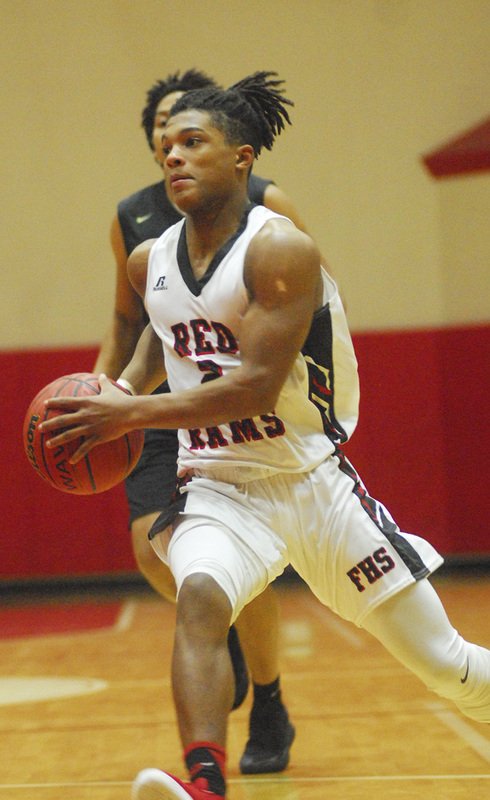 FRANKLINTON -- Last season, Coach Henry Drake's Northern Nash Knights came to Franklinton with one loss and struggled to get a win over the Red Rams, who were struggling through a two-victory campaign. This year wasn't much different. 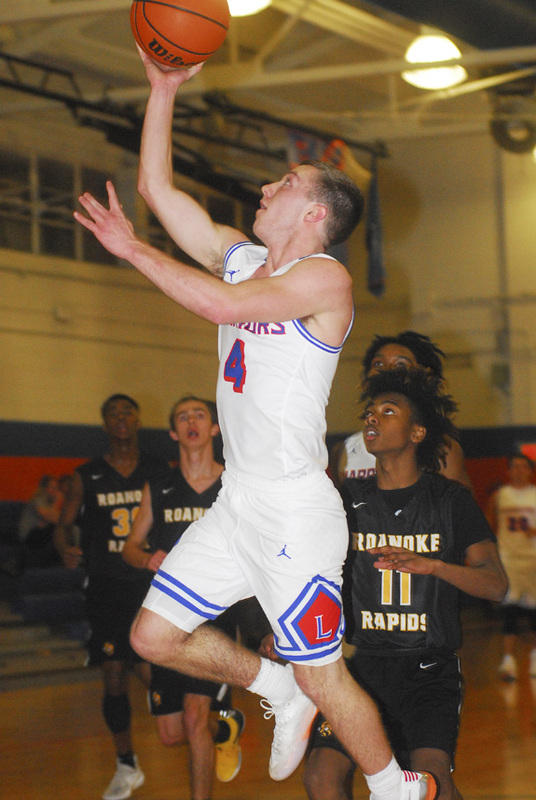 A solid second half after a slow start was able to help the Knights win their 15th straight triumph by way of a 66-51 victory over Franklinton last Thursday night in Big East Conference boys hoops action at the FHS Gymnasium in Franklin County. LOUISBURG -- When a high school basketball player scores his or her 1,000th career point, it has become a custom for the player to be presented with an honorary ball as part of a half-court ceremony. Of course, this event usually takes place when the player is a senior, and maybe even a junior on some special occasions. 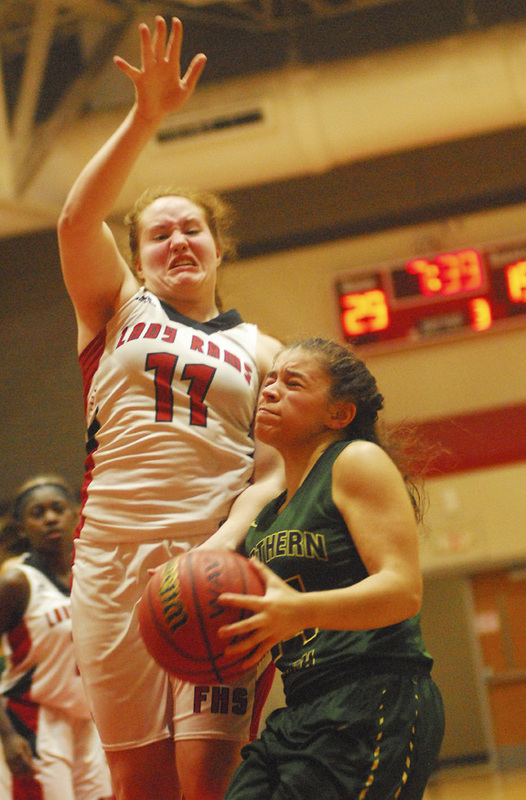 LOUISBURG -- Try as they may, the Louisburg Lady Warriors could not come up with an answer for Anna Vann during Tuesday's Northern Carolina Conference girls basketball matchup against Roanoke Rapids. Vann came up with the plays when needed and helped Roanoke Rapids offset a solid offensive showing by the Lady Warriors. GREENVILLE -- The East Carolina University baseball team received its fourth preseason national ranking of the 2019 season after being picked No. 12 by Baseball America the publication announced Monday. The Pirates have also earned national rankings from D1Baseball (No. 11), Perfect Game (No. 11) and Collegiate Baseball (No. 35). Louisburg's Drequan Dickerson keeps a ball inbounds during Tuesday night's home basketball meeting with NCC foe Roanoke Rapids. 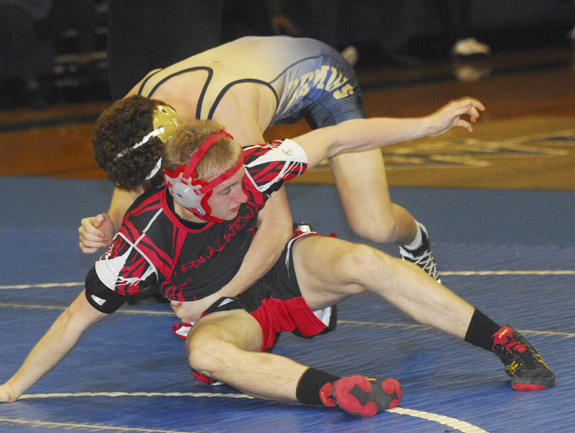 Franklinton's Zack Carger (right) tries to secure a move during last Saturday's Big East Conference Team Wrestling Championships at Wilson Fike HS. 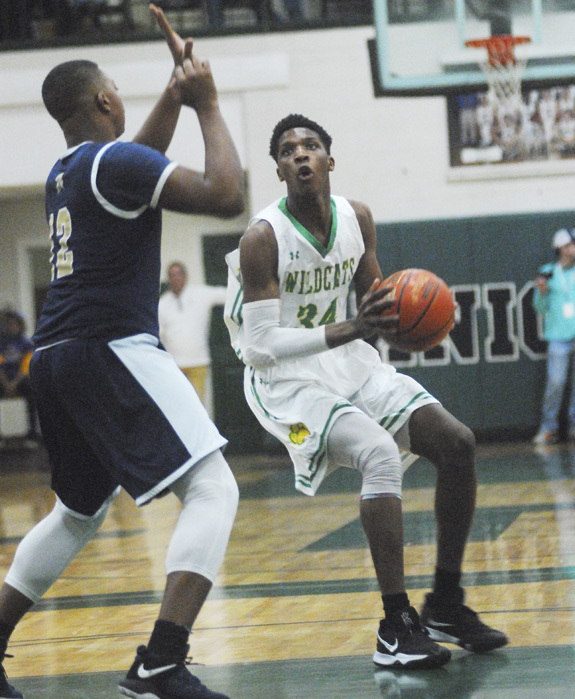 Bunn center Xavier Jones goes up in the paint for the Wildcats during last Saturday's contest against Smithfield-Selma at the BSN Classic at Greenfield School in Wilson. 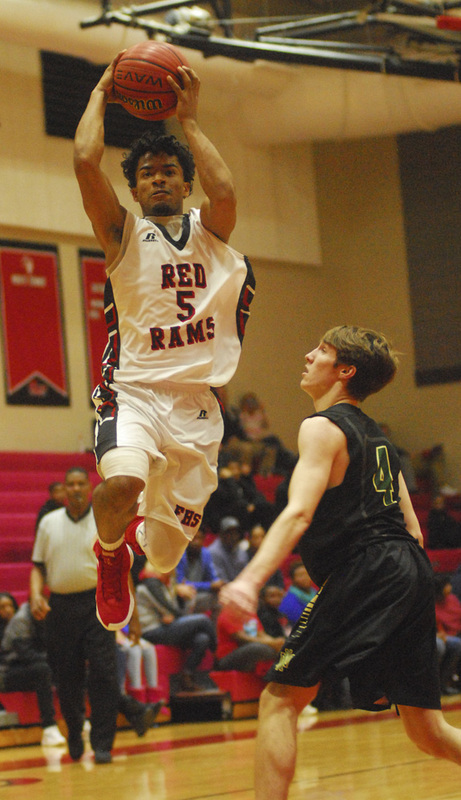 Franklinton High School's Robbie Burnett elevates for the basket for the Red Rams during last Thursday's home matchup versus the Northern Nash Fighting Knights. 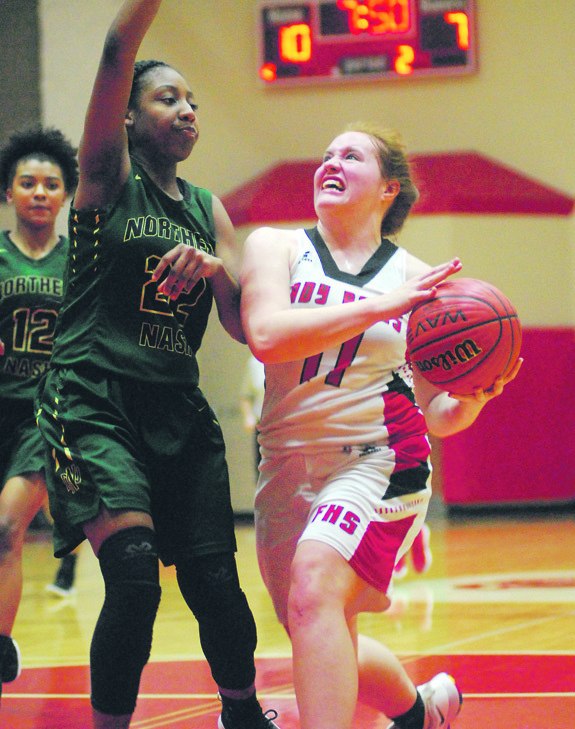 Northern Nash's Hannah Evans (right) tries to drive against Franklinton's Meaghan Dohnert during last Thursday's Big East Conference meeting at the FHS Gymnasium. ACCOMPLISHMENT REWARDED. 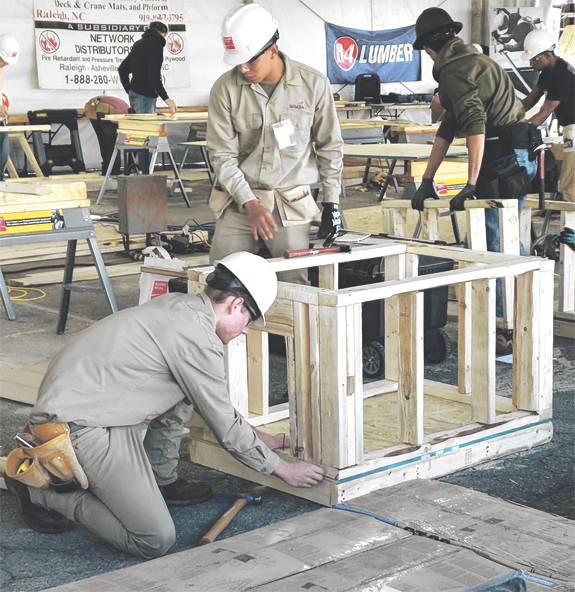 Bunn High School students Andy Gonzales and Caleb Hinkle placed first in the Carpentry Pre-Apprenticeship contest at the NC State Fair last fall. Twenty teams from across the state competed, including other Bunn High students, Renee Campbell and Ivan Alvarez. They were led by Bunn High teacher Bill Longson. "We have had a great run in the last four years with a couple of first place teams and one second place team," Longson said. "We have always had a student winning in the top ten, bringing home cash prizes and tools." Katherine Burnette received her Masters of Fine Arts Degree in Fiction from Queens University of Charlotte on Saturday, Jan. 12. As part of the program, in addition to fiction, she also studied poetry, creative nonfiction, and stage and screen. She has written several short stories and is currently at work on a novel. FRANKLINTON -- State and local authorities continue to look for suspects responsible for Franklin County's first homicide of 2019. Franklinton police responded Jan. 18 to what appeared to be a 911 hang-up call just before 7:30 p.m. at 16 Fairlane Avenue. When Sgt. Adam Carlson arrived, he found Clarence Person Jr., 49, on the floor, dead from a gunshot wound. 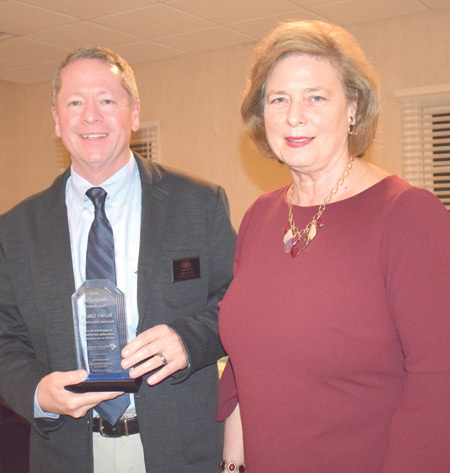 Randy Green holds the Director of the Year award presented to him by Dr. Cheryl Benson, a fellow Chamber of Commerce board of directors member. 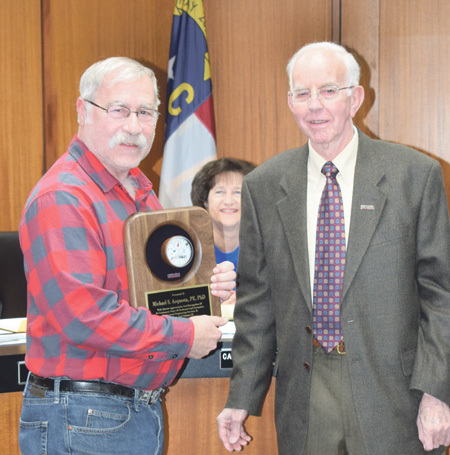 LOUISBURG -- Although it was a short, fairly routine meeting for the Louisburg Town Council on Tuesday, it was a profitable one. The council unanimously accepted an offer from Louisburg College of $100,000 to help pay for a new fire truck. The college said the money would be paid in $5,000 annual increments over 20 years -- and the town's leaders quickly agreed to other stipulations. LOUISBURG -- The Franklin County Board of Commissioners has scheduled a work session next week, planning to take a deep dive into proposals for broadband Internet service proposals before picking one they'll support. During the board's Jan. 7 meeting, members of the Northeast Franklin Revitalization Committee -- which has made improved broadband service one of their top priorities to reinvigorate that part of the county -- urged commissioners to remember that part of the county when deciding which provider to bring into Franklin County. RALEIGH -- A Youngsville Girl Scout earned the organization's highest award. 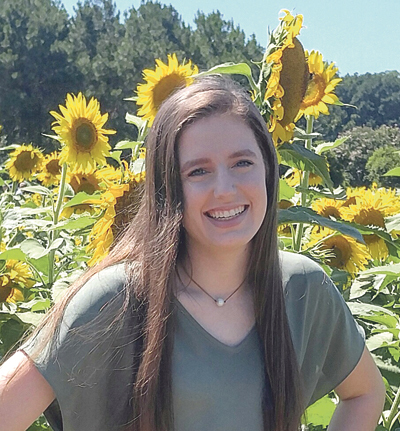 Girl Scouts - North Carolina Coastal Pines presented Savannah Blalock with the Girl Scout Gold Award, the prestigious achievement in Girl Scouting. Awarded to fewer than 6 percent of Girl Scouts annually, Blalock joins generations of young women who have earned their Girl Scout Gold Award while making a difference in their communities both locally and globally. 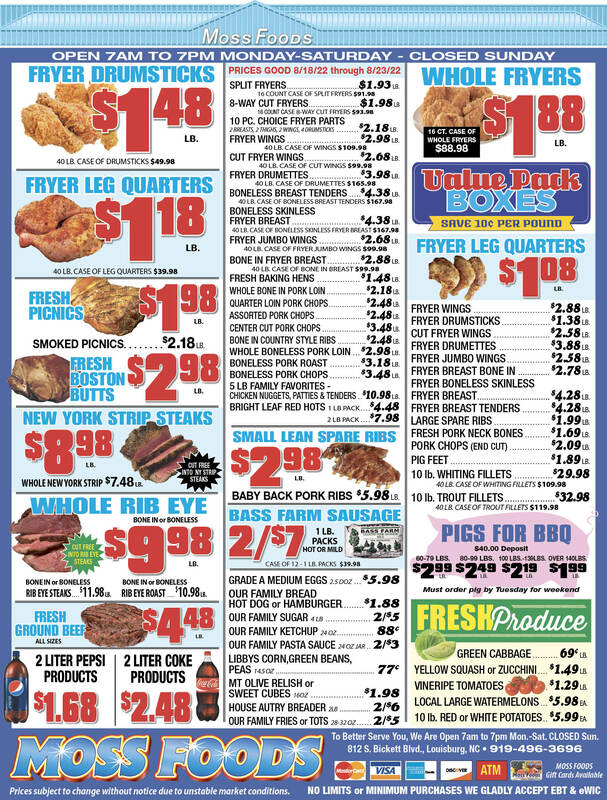 A check-off referendum will be held Wednesday, Jan. 30, in each flue-cured producing county in North Carolina. Flue-cured tobacco growers will vote on continuing their support of export promotion and expansion for US flue-cured tobacco by Tobacco Associates, Inc. for the marketing years 2019, 2020, 2021.